A growing number of top quality designers are turning away from contract work and towards their own personal projects (such as selling WordPress premium themes, for example). From skills-based products to online consulting, the world of design goes far beyond the field of Design itself; it extends into disciplines such as online retailing and marketing — two of the most lucrative forces on the web. Many designers have moved from working for clients and employers (often at a pay grade that isn’t quite as high as it deserves to be) to working for themselves. In the process, they’ve also created a range of enduring online properties, major e-commerce stores, and worthwhile online products. In this article, we will cover some tips you should keep in mind when venturing into e-commerce. Unless your name happens to be Jeff Bezos, it’s fairly unlikely that selling anything and everything without a good profit margin is going to be successful. As a smaller online merchant, you need to focus on products that have higher margins — items that cater to a group of people who would be likely to purchase a wonderfully crafted product. 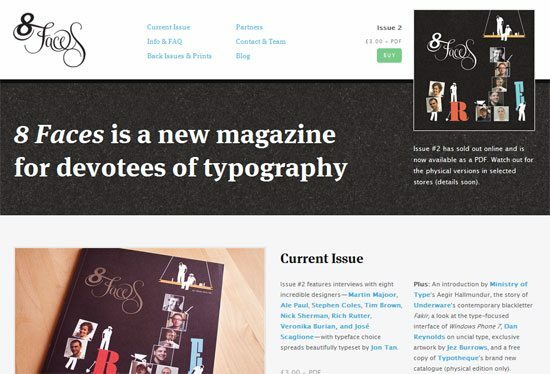 For example, the 8 Faces magazine, a beautiful, custom-crafted magazine for and by designers, effectively focuses on a niche; as a result, the magazine is sold out in a matter of hours of being released. There’s nothing worse than developing a product, creating a website and building out marketing tools only to find that your product just isn’t profitable. All that time and money wasted. But it’s one mistake that can easily be reversed using a simple test. With a small product viability testing budget, it’s fairly easy to see just how well your product could sell using paid advertising. Set up an account with Google AdWords, and create a variety of search ads to test your product’s hypothetical conversion rate. Of course, you should do this before your product is prepared in order to save money. Perhaps have a landing page that asks for a user’s email so that they can be notified once the product is available. It gives you an idea of how many people are engaged and interested in your product; enough that they want to stay tuned for its actual release date. This simple tactic can help you quickly and easily price your product before it’s even developed and ready to sell. By using some simple split testing tools such as Google Website Optimizer, you can track which of your e-commerce designs is most effective at converting visits into sales. Create a series of small changes in your pages — different button colors, headlines, or calls to action — and track them using one of several free conversion testing tools. Then, move forward with the most effective result. A variety of tools are available for this very purpose, with some being more robust and more complex than others. I like Visual Website Optimizer for its simplicity and speed — it’s literally the easiest tool out there for tracking clickthrough rates and sales effectiveness. 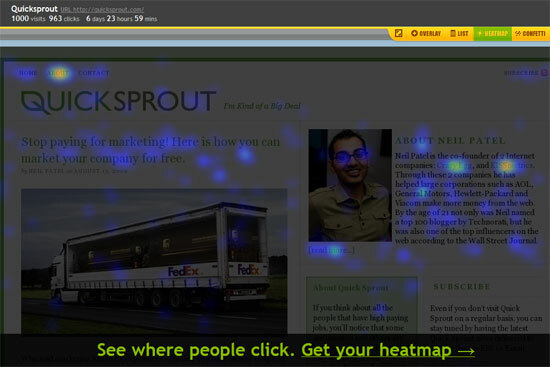 Other options include Google Website Optimizer, and a heat mapping tool called CrazyEgg, which can be used to assess on-page mouse movement. Is Amazon.com a beautiful website? Not notably, no. What about eBay or Newegg? Again, it’s a no. The design community is obsessed, and often for good reason, with smooth lines, pretty background colors, and perfectly spaced fonts. It’s a great obsession to have when building pretty websites is your goal, but the reality is that very few e-commerce site owners care about design on its own. What e-commerce websites do care about is effective design — design that compels visitors to buy products and complete web form submissions. 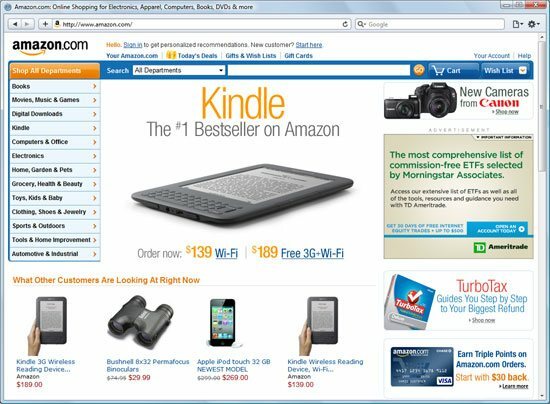 Amazon, eBay, and thousands of other big e-commerce websites have used effective design to transform themselves into giant businesses. There’s a reason smaller businesses continually trump their larger competitors when it comes to sales value and profit margins. Not only are they more personally attentive with their customers, they are also more effective at making minute, ultra-quick changes to their business. E-commerce isn’t any different — smaller players constantly adapt to trends faster than their larger, more entrenched rivals. For this reason, it’s essential that you pick an e-commerce platform that’s flexible, easy to use, and built with adaptive changes in mind. 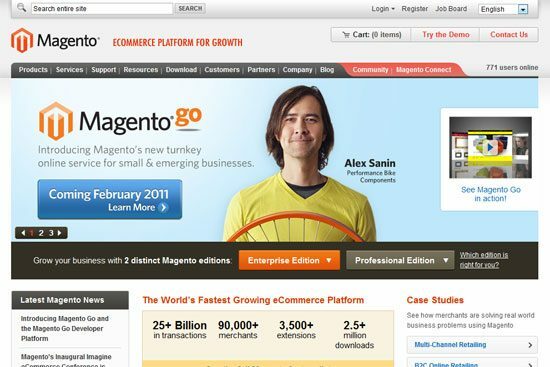 I’ve had good experiences with Magento, although it’s not the best solution for everyone. Smaller e-commerce websites may work well in WordPress, although it certainly isn’t the ideal platform for larger websites that have hundreds of products on offer. Other options include OsCommerce, a great tool favored by the open source community, and Zen Cart, a simple option that’s generally better for beginners. Although ZenCart doesn’t offer its own payment processing options, it easily integrates with PayPal and other payment platforms. 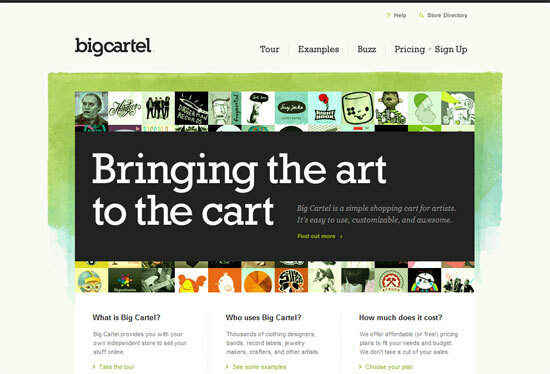 Hosted e-commerce like Big Cartel, Shopify, and SolidShops are also options to consider.